Nowadays a lot of decals are being used to decorate different types of laptops especially the Macbook. There is no limit to the creativity of these laptop decals. Here are some of the most popular decals for Mac. 1. Iron Man decal is loved by all the boys who have Mac. The hand of the Iron man is shaped around the Apple logo and therefore creating a great effect. 2. Apple Pi is a very simple design yet is actually very witty. With just two symbols, a person is able to create two separate meanings. 3. Funkadelic: this is a beautiful design that most of the girls would love. The flowers and colors used in this decal are perfect for the girls who like them. 4. Shapie Laptop: this is a really funky decal and is best for the artists so that they can show off. 5. Retro Logo: this logo is for those people who love the old logo of Apple and want simplicity in their designs. 6. Atlas Stickman is also another creative and unique decal. The stickman is carrying the logo of Apple. 7. 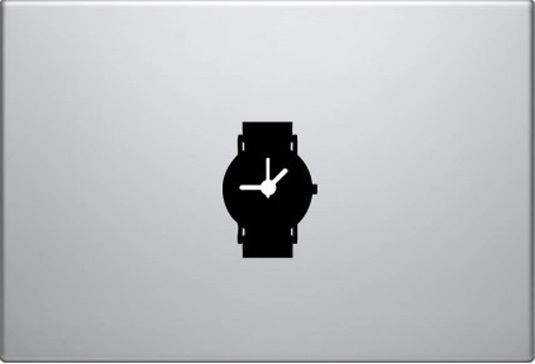 Batman Lurking: this is one of the most popular Mac decals because of its creativity. Those who love batman would like to go for this. 8. Zombie Snow White: for all the people who love watching horror shows and movies, can get this decal and take inspiration. 9. Street Fighter: Ryi. There are a lot of young boys who really liked to play Street fighter and therefore this decal is perfect for them. 10. Magritte: this is a very impressive and amazing Mac decal that has a lot of creativity and hidden meaning in it. 11. Galesaur: those love this character would love to take inspiration from this wall decal. 12. Super Mario has always been a favorite for many people in childhood and therefore this Mac decal can bring back a lot of memories. 13. Stormtroopers: this Mac sticker has gotten very famous amongst people because of the creativity that it exhibits. Only few people will be able to identify it therefore it is very special. 14. Apple VS Windows: this is also a very creative and great Mac Decal for people who love both. 15. Watch: this is a simple decal but yet is creative. 16. Yoshi: has always been a very famous character and therefore this decal is amazing. 17. Sensie Moustache is another example of a creative decal. 18. Doodle Camera is perfect for the Mac owners who are interested in photography. 19. Bird on Branch is also one of the most beautiful Mac decals. 20. Apple Juice is a funky Mac decal. Author Bio: Hi, this is Daniel Ray from Virginia,USA ! Working as Design Coordinator and stock expert in PrintingRay. PrintingRay is an online cheap custom stickers printing company providing the best sticker printing stock in USA market.